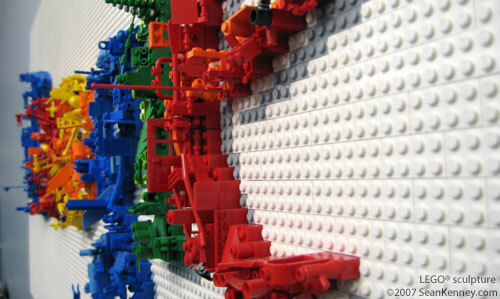 Google and LEGO have a fun and special history... 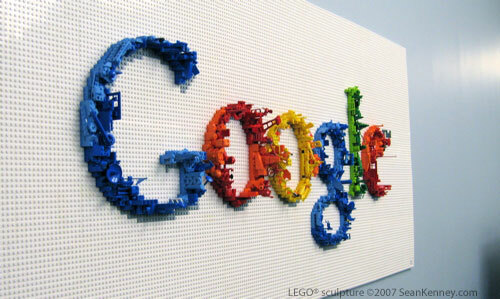 The Google founders, Larry Page and Sergey Brin, are both avid lovers of the LEGO brick, as are many of the company's employees. 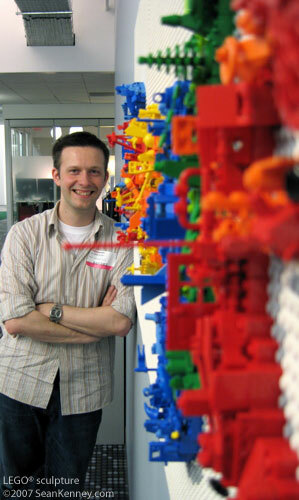 Sean was approached by the head of Google New York about bringing LEGO to their offices. 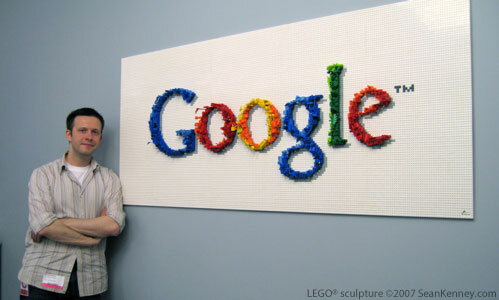 This is the first of two LEGO Google logos Sean has made for Google. This one is installed at Google's New York offices, and the other one is installed at Google's offices in Copenhagen, Denmark. One thing that impresses Sean about companies like Google is that they have an amazing ability to create something that seems so outwardly simple, understandable, and approachable... yet underneath is actually a whirring, complex concoction of technical wizardry. 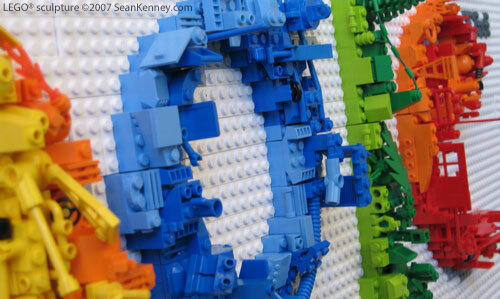 Sean thought it would be fun to create an unique LEGO rendition of the Google logo to capture this idea. From afar, the logo appears clear. As you move closer to it and change your viewing angle, great depth and complexity is revealed. 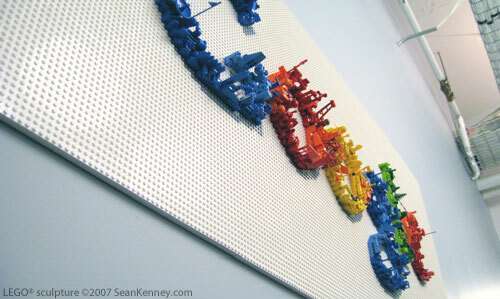 To accomplish this, rather than build the logo out of standard rectangular LEGO bricks, Sean used the myriad of fun and crazy LEGO shapes that come in every standard LEGO kit... Wheels, doors, slopes, circles, hinges, trees, hats, coffee cups, fences, flags, and more. 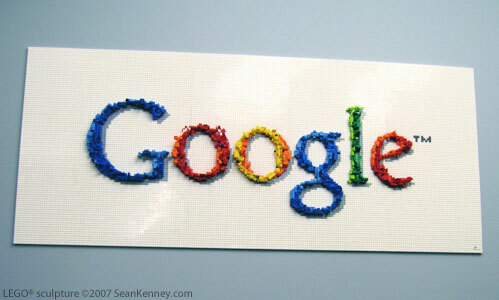 The logo was installed at Google's New York office in April 2007.